Some of the definitions in the Collins Dictionary of the word “Goodness” are; generosity, kindness, moral excellence and virtue. Well, if goodness is a virtue then what better is there to celebrate this virtue than to send an ecard to someone who deserves his or her goodness to be appreciated? Our ecards are the ideal cards to send. 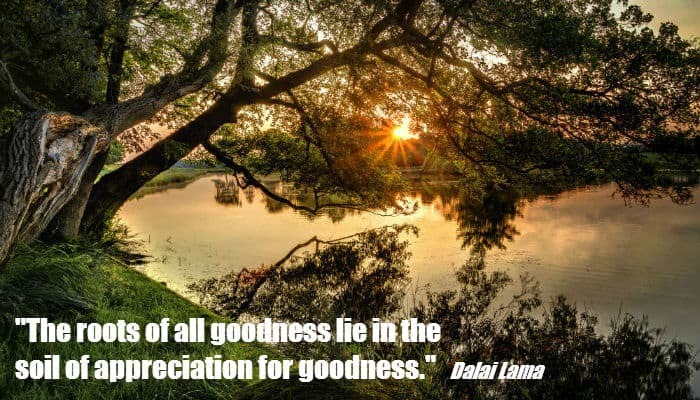 The front page of our "Goodness" ecards carries a picture of rural tranquillity showing the sun shining through trees growing over a smooth lake. There is an uplifting phrase written by the Dalai Lama, but you can write you own message if you choose to, and, of course, you can write your own message on page two. There is no specific time in the year to send a goodness ecards, they should be sent whenever either someone you know, in your business or personal life has been good to you. However, the best time to show your appreciation of the kindness you have received from people is during the season of goodwill. At this time of the year, many people are expecting to receive messages of good will. Many businesses are faced with sending large quantities of messages to their customers and business partners. Our e Christmas cards for business are the ideal way of reaching as many people as possible at an extremely cost-effective way. Christmas ecards for business eliminate the time-consuming tasks of buying Christmas cards, envelopes and the extortionate costs of postage. All you have to do is select the design for your ecards and we will do the rest for you.